In five minutes of listening to Mariette Fourmeaux du Sartel talk about why she has spent the past couple of years going to prison every week, in San Diego, to help create TEDxDonovanCorrectional, you will understand how her passion drives her to continue, overcoming obstacles every visit. Mariette deeply cares for the men at Donovan Correctional and taught me so much about the challenges she and the team face in producing the event. She quoted one of the men who told her, "In my 20 years of incarceration, I've never been treated as a human until now." Wow. 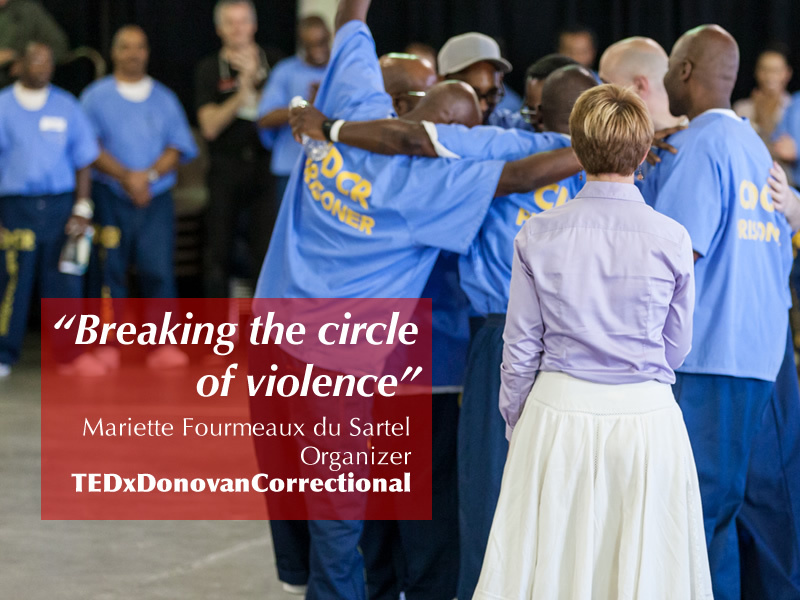 After the wild success of TEDxDonovanCorrectional held at San Diego’s Donovan state prison, Mariette has transferred her passion for building resilient high-performing teams and authentic human-centered leadership – honed through two decades in corporate and start-ups – into the unlikely environment that is prison. 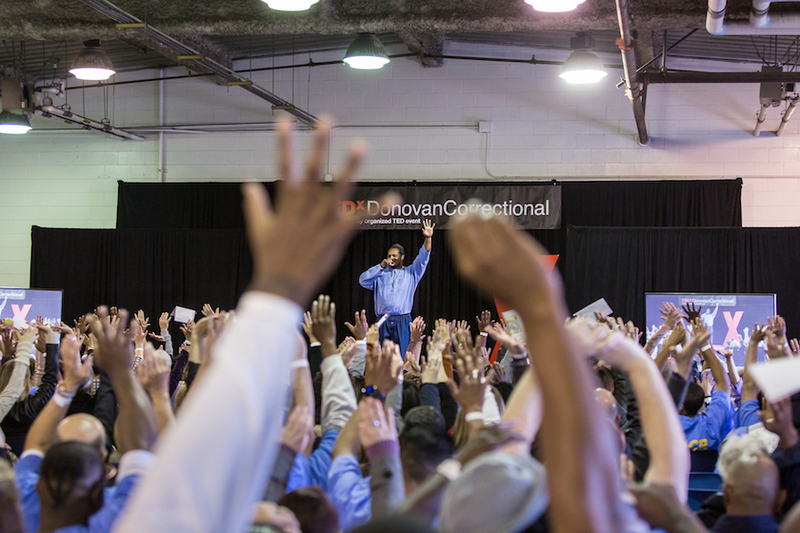 She founded Brilliance Inside, a nonprofit program to transform prison from being strictly a container of violence to a creator of rehabilitation and peace. Before this, Mariette spent 17 years in business, developing cutting-edge technologies for world-scale problems, such as a cancer-detecting medical device in Paris, d.light’s solar lanterns for the rural poor without electricity in India and a new augmented reality technology at HP, Inc. She also grew up intertwined in the creation and expansion of her family wine businesses, starting at the ripe age of 6. Mariette is a true global citizen: born in France, she’s lived on four continents and has explored some of the most remote corners of our world. Finally, Mariette holds a double materials engineering and economics degree from Brown University and a Berkeley MBA. There are 30 TEDx events held in prisons. She went to one of the original prison TEDx events at Marion Correctional to understand the rehearsal and event experience firsthand. It’s in prison. There are constraints on this event that other events don’t have to consider – no paper is allowed. You can’t do a thing without review and pre-approval. Safety is the number one concern for everyone – the external team members and inmates. The transformation of the inmates as they went through the process of working together – which is not a natural behavior in prison.